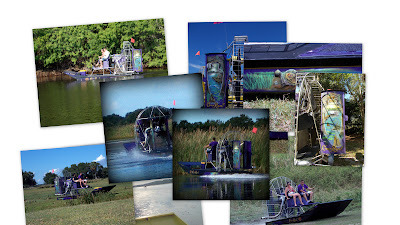 This airboat is owned and run by Gary and Amy Turner in Lake Placid, Florida. She is a "must see" airboat if you get a chance. She is powered by the LS series engine, a 2:68 rotator gear box, composite 3 blade propeller.